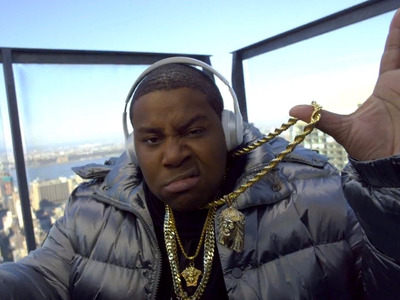 YouTube/Beats by DreComedian Kenan Thompson has bling and Beats. Beats released a new ad on Wednesday, and it’s chock full of celebrities. The ad, called “#SoloSelfie,” is a mashup of pop culture’s A-list with celebrities like Serena Williams, Kendall Jenner, and Big Sean taking video “selfies” of themselves wearing Beats. Celebrity endorsements like this, and the company’s famous cofounder, Dr. Dre, are what put Beats on the map in the first place. The whole video appears to be taken using an iPhone 6, so it’s partially an ad for the phone’s stellar camera as well. Check out the full spot below. It’s worth watching twice to see if you can name all of the celebs.